This page is dedicated to Berkeley Eastman, (1926-2006),the designer of the mini tugboats and houseboats displayed on these pages. The following words are his own. We hope that you enjoy them. "I grew up on Cape Cod, the oldest of five sons. Our father was a U.S. Coast Guard Commander and a naval architect whose hobby was boat design and building. At the age of six, I began marking each year by the boat that we helped my father build. Every winter we'd work on a different boat design out in the garage. By summer, the boat would be finished and we would sail it around Cape Cod Bay. The summer boat would be sold by the end of each season. Then, on to a new design and building project for the coming winter. Every boat was different; some sail, some paddle, some power. The family would build boats of all sizes and shapes. I grew up with a deep appreciaton for the lines of a beautiful boat and a fierce love of the sea. By the time I was 11, I struck out on my own design. I took an old automobile starter motor and a six volt battery and installed them in an old 10 foot wooden boat. I was king of the bay! However after 15 minutes the boat ran out of power. At the age of 26 I built plywood and fiberglass gasoline powered runabouts and cabin cruisers at my factory in Azusa, California. My fascination with the idea of an electric boat resurfaced in 1956. I built a 16 foot runabout powered by a golf cart motor and six 6 volt batteries. This time, the boat was under power for between 4 1/2 and 5 hours, a good day of electric boating! Even though I sold my boat building business in 1959, my hobby, like my father's, has always been designing and building wooden boats! My life continued on it's path. I served in the U.S. Coast Guard, like my father before me, and fell in love with the USCG cutter "Mohican" which I was transferred to after the Invasion of Normandy, in which I participated. The "Mohican" was a 110 foot fire-fighting, ice breaking tug boat stationed in New York Harbor. On that boat we did boarding duty of the convoys coming into the United States and did ice-breaking up the Hudson River in the winter. That was the best time of my U.S. Coast Guard experience! I left the Coast Guard with very fond memories of the "Mohican" and a lifelong love of tugboats". 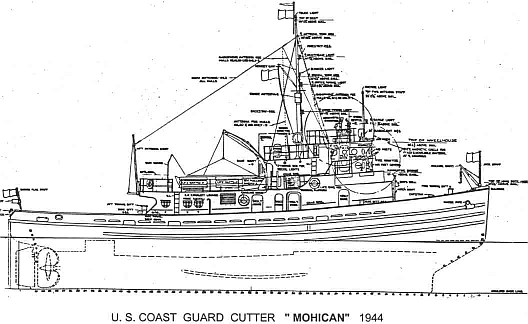 "This is a line drawing of the USCG cutter "Mohican" which I was stationed on during my time in the Coast Guard". "My life after that took me on many paths, one of which was designing and flying light aircraft. After heart surgery left me unable to fly in 1986, I began thinking again about my love of tugboats. I began drawing and building small models. So, thirty-some years after that very first battery powered runabout, I designed a 14 foot mini tugboat that I called Candu E-Z. I first built a radio controlled scale model. That model looked so great that I went ahead and built the full-sized version. The Candu E-Z led me to design 3 other sizes of tugboats, and I sold the plans throughout the world by mail order. I have prided myself on my basic design philosophy, "KISS", Keep it Simple, Stupid! These little tugboats cause quite a commotion. Everyone, including kids and women enthusiastically point at the little tugs, smiling and waving and laughing. I say that this is the most fun that you can have in public without getting arrested!" "I turned 17 on January 15, 1943. My dad was a Commander in the U.S. Coast Guard. He swore me into the Coast Guard on July 6, 1943. After boot camp and three specialty schools, I was transferred to a troop transport and sent to Europe for the invasion of Normandy, France. 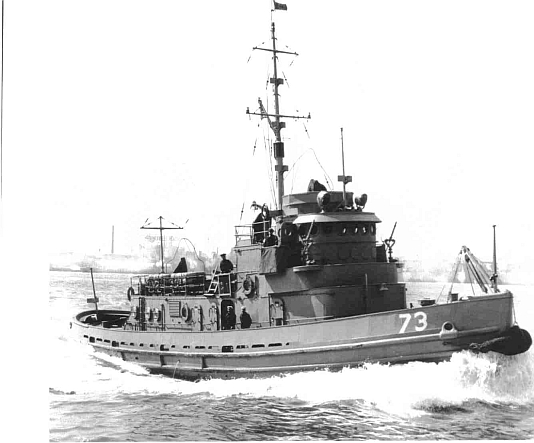 After my time there I was transferred to the USCG cutter "Mohican", a 110 foot tug boat in New York Harbor. I loved my time on that tug. It was the best of my enlistment and it began my lifelong love of tugs. I was honorably discharged from the Coast Guard on June 21, 1946. Years later, while watching the America's Cup races at the San Diego Yacht Club, I met a USCG Admiral. I introduced myself and told him about my WWII duty aboard the "Mohican". I told him that was the only good part of my enlistment. During the war you couldn't take photos of the ships we were on. I asked him if it was possible to find a picture of the Coast Guard cutter "Mohican". He said he was going to Coast Guard headquarters the next week and it so happened that he had a friend in the Coast Guard Archives. About a month later, I received a 3 ft. long mailing tube from Coast Guard Headquarters in Washington containing a complete set of building plans and photos of the 110 foot ice breaking class tugs built in 1943. I thanked the Admiral and immediately built a scale radio-controlled model of my beloved "Mohican". I was SO happy! All my life I've loved tug boats. In 1987 I designed and built 4 sizes of mini tugboats. I sell the building plans throughout the world by mail order. I subscribe to Work Boat magazine. One day while reading the magazine I came across a picture of a 110 foot steel tug being rebuilt by a shipyard in New Orleans, LA. The article told about this particular tug as being the former USCG cutter, "Mohican" from WWII. I was so excited that I immediately called Bisso Marine Co. in New Orleans. I asked to speak to someone who knew about the new tug, "Darlene Bisso". The lady said, "my name is Darlene, what would you like to know?" I told her about my being stationed aboard the "Mohican" in 1944 and 1945. I told her that my wife, Carol and I were coming to the Work Boat convention at the Convention Center in New Orleans. I asked if we could stop in for a visit of the newly refurbished tug. She said "my husband, Cappy Bisso, the owner of the company would love to meet you and show you our new tug". When we arrived they just couldn't believe that some fifty years ago I was a Motor Machinist Mate and served on the "Mohican". I was really excited about going aboard the old ship. He took us down below to the engine room, where I had stood many hours watching over the engines and generators that run the ship. The old main engines were gone, replaced by brand new, shiny higher horse power diesels. The auxilary generators and evaporators and compressors were the original ones that I had worked on and they were still, after being rebuilt, in good condition. When we went up the ladder to the bridge, the first thing I said was "Where's the helm?" Cappy picked up this small box in his hand with a long cable leading from it and said, "this is the ship's control system." I asked "where is the ship's wheel? I would like to buy it from you." He said, "my 21 year old son has it mounted on his bedroom wall and you will have to kill him to get it." I had this disappointed look on my face, I guess. He then said, "we removed ten of the original bronze portholes during the refurbishing. I would like you to have one." When we went down in the storage yard to find them, he said, "I hope they're still there". After a few minutes we found them and he gave me one. I tried to pick it up but it weighed 65 pounds. About that time I began to cry. I was embarrassed. We thanked Cappy and his lovely wife, Darlene for the visit and the great gift. In the fall of 1999 I designed a 24 foot houseboat with a sleeping loft. My son, Mike and I built the boat in about six months. Mike and I spent many hours together removing about 20 coats of old paint from the porthole, polished it nice and bright, brass and bronze, and he and I installed it in the center of the aft bulkhead of the sleeping loft. I enjoy lying in the bunk and looking out through that WWII porthole and thinking what I've always known, I AM TRULY THE LUCKIEST MAN IN THE WORLD!!! God bless America". 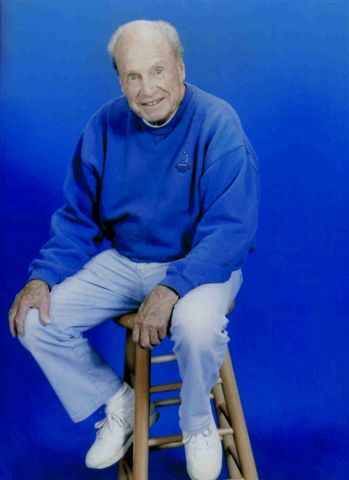 We lost "Berkey", as we called him, on November 28, 2006, shortly before his 81st birthday. We are so grateful that his legacy can continue. He was a wonderful father, friend, teacher and human being. He loved his boats with his entire heart. 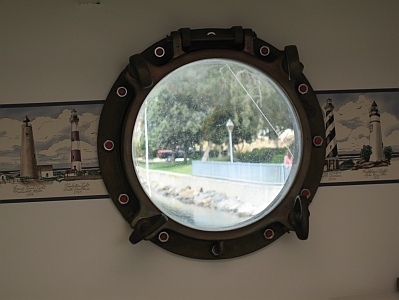 His precious porthole is still installed in his Cape Codder and may be seen by clicking on the Cape Codder page of this website. It is upstairs over the beds. Every time we see it, we think of him and all of the wonderful things he passed on to us. We miss him with all our hearts.